RoboPlus is an all-in-one suite of software that allows you to easily use compatible ROBOTIS products. RoboPlus includes applications for DYNAMIXEL configuration, firmware management, programming, and motion editing. 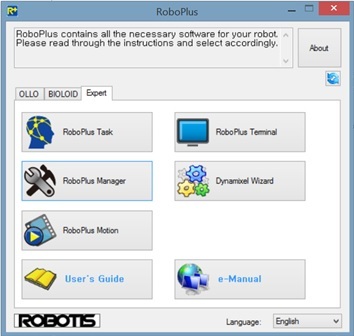 RoboPlus Task: Task is a user-friendly simplified programming tool which can be used to create powerful programs with minimal coding experience. 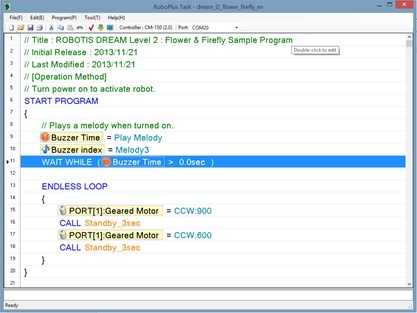 Programs created in Task may be downloaded to compatible ROBOTIS controllers. 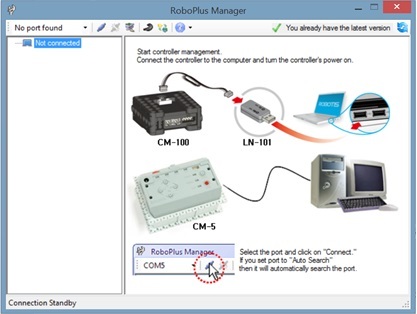 RoboPlus Manager: Manager provides an easy way to configure, update, and recover firmware of ROBOTIS controllers and peripheral devices. 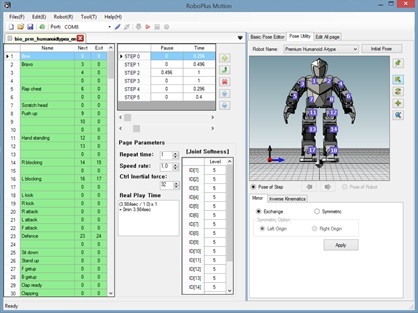 RoboPlus Motion: Motion is an animated motion-editing and choreography tool used to create simple and complex movements which can be downloaded to compatible ROBOTIS controllers and used by RoboPlus Task programs. 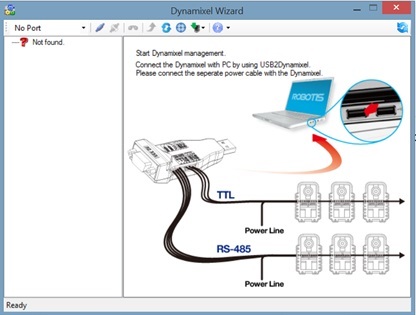 Dynamixel Wizard: Dynamixel Wizard allows users to easily test, configure, and manage firmware of compatible DYNAMIXELs.